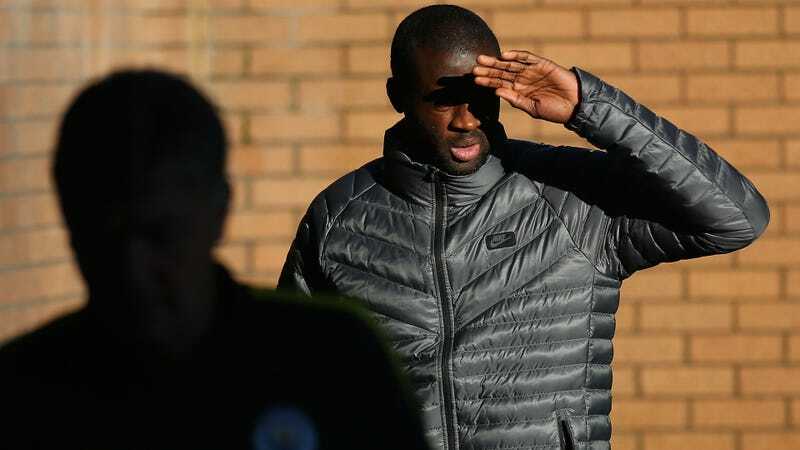 It was a surprise to many to learn that Yaya Touré had been charged with drunk driving a few weeks ago, seeing as the Manchester City midfielder famously doesn’t drink alcohol. We now know that all of this caught Touré himself similarly unaware, as he didn’t even know he had been drinking the night in question. Police charged Touré with a drunk driving offense back on Nov. 29th, and yesterday Touré received his punishment: an enormous £54,000 fine and a license suspension of 18 months. “Over the last two weeks there has been some confusion as to why I was charged with drink driving, as it is well known that I am a Muslim and do not drink. “I have always refused alcohol. Anyone who knows me or follows football will have seen me refuse champagne for Man of the Match performances because of my commitment to my religion. It’s possible that accidentally swallowing some mouthwash could ping a breathalyzer, but you’d really have to chug that bottle to double the legal limit (said limit being a BAC of 0.08) as Touré had. He told magistrates he had no idea he had been drinking, even though he conceded his Diet Coke tasted odd, and although he felt “tired” he had not suspected he was tipsy. He told the court that he had been to a house party where he had poured himself what he thought was Diet Coke from a jug, but later discovered it was mixed with brandy. He had been the “designated driver” on the night of the party and drove his car with passengers in it, claiming he just felt tired, despite being double the drink-drive limit. He told the court he thought his drink tasted different but only later found out he had been pouring himself a pre-mixed drink. The lesson, as always: unless you mixed it yourself, stay away from the jungle juice.